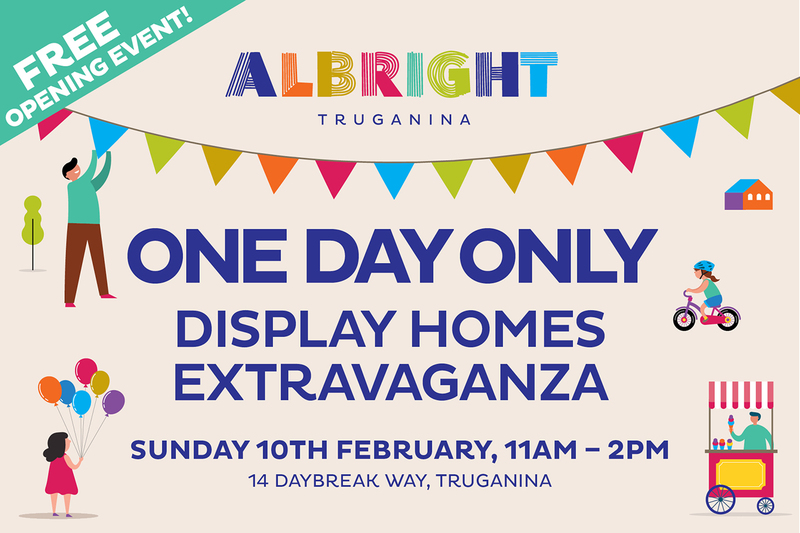 Savvy homebuilder’s flocked to Melbourne’s West recently, to attend Albright Truganina’s Display Home Extravaganza! The doors were thrown open to14 stunning new display homes by eight of Victoria’s best home builders in an extravaganza of building, interior design and landscaping advice and more. Visitors to The Albright Display Home Extravaganza explored the stunning homes, while also taking advantage of one-day-only deals and offers from the Albright display village builders. Australia’s best builders pulled out all the stops, with stunning displays to explore from Eight Homes, Burbank, Fairhaven Homes, Welsh Homes, Nostra, Optimal Homes, Porter Davis and Ridgewater Homes. As featured in Star News Weekly. Albright Display Village Opens with a Display Homes Extravaganza! Friday 19th April (Good Friday): Closed.